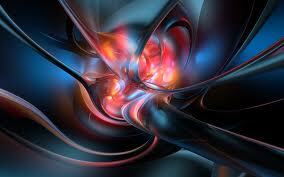 There is a small chance that you may have noticed that I can be a tiny bit negative, cynical some might even say. I try to keep my writing on the lighter side but occasionally I'll say that someone needs to be thrown face first into a belt-sander for the betterment of all mankind and people tend to notice that as a sign of both a slightly negative outlook and an unbalanced mental situation. So every now and then I like to take a moment and reflect on the positive aspects of reality, sometimes this requires me to spend an ice age searching through the world... well the internet, I'm not going outside. However every now and then recent circumstances just fill me with wonder and appreciation for the world and time I have the good fortune to live in. This is usually the result of me finding myself at the nexus of several complimentary events and it happened recently. Yes... that is what a nexus looks like, keep an eye out for them. It's easy for us to take the internet for granted. To forget that the systems we use every day are only possible because the human race as a whole decided to coat the surface of the space-born ovate spheroid that we find ourselves living upon with a vast net of cables. Then by another cosmic fluke someone realised that these cables, originally used to electronically transmit voice (by a method no-one has ever managed to adequately explain to me), could instead be used transmit data. Shortly after that came a man called Tim Burners Lee invented the world wide web and to put it mildly BOOM! Within a few decades the world as we know it was completely transformed, we now live in a world of hyper-connectivity that was scarce imaginable a generation ago. 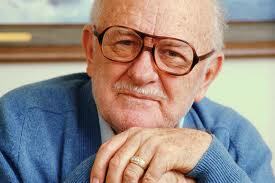 "Of course back then we still had Woolworths." What prompted this sudden appreciation? Well, two TV shows and an album. Allow to explain. 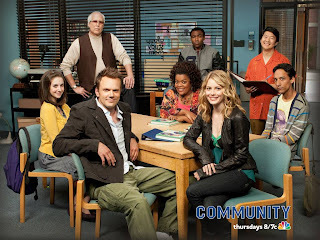 One of the TV shows is the frankly astounding NBC comedy show Community. I'm something of a late comer to what is, frankly, the funniest TV show of the last ten years but I'm beyond in love with it. I haven't felt this way about a TV show in a long time and it's rekindled a part of my geeky, geeky psyche that I thought had died with the cancellation of Firefly. Not only would I never have heard of this show without the internet but, due to the frankly ridiculous regionalised business model used by television networks, I'd never have even had the opportunity to watch it. You see the fact that I'm more than willing to turf over a few quid for each episode of this comedy masterclass, I'm not actually allowed to because I don't live in the United States. Fortunately I get to watch my favourite thing in the world due to the fact that some lovely chap across the Atlantic views it as a sacred duty that he owes his fellow man to record the show and put it up on the internet then after a few simple taps and a brief wait I get to watch it. "White people at the front, ethnics at the back" - Someone at NBC, presumably. One of the other shows I've recently added to my viewing roster is a fantastic televisual treat from New Zealand called the Almighty Johnsons a fantastic tale of Norse Gods living among our Kiwi cousins. 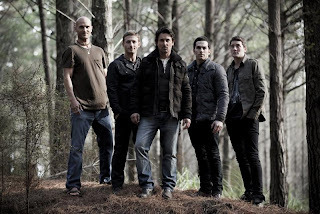 Have you any idea how unlikely it is for me to encounter a show from New Zealand without the internet... That would literally never, ever happen. As it is I get to fill my looky-peepers with televisual greatness all due to the wonderfully connected world that we have the pleasure of living in. It's as ridiculous and fun as it sounds. 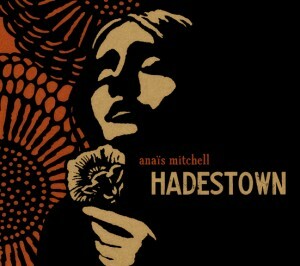 The final part of the triumvirate that brought home how lucky we are to live in this time, in this place, is the album Hadestown by Anais Mitchell. I read about this album in an online article some time ago and filed away in the back of my skulls mind-closet for future use. I recently ran low on musical listening material so I decided to give it a sampling. After hopping on to YouTube to listen to a few tracks, I found myself intrigued, beguiled and a wee bit smitten. I did a bit of research on the ole' wikipedia, Hadestown is, as it transpires, a concept album based around a retelling of the greek myth of Orpheus, but set in the old west. Within, twenty minutes of first listening to it I had a copy of it on my phone. Listen to this album... it's awesome. So as much as we might complain and bemoan the world we find ourselves in, and as obviously wrong as some things about it, we shouldn't lose sight of the fact that we live in truly remarkable times.